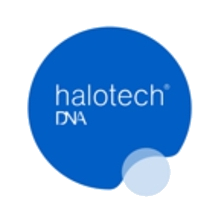 Halotech is recognised for its unique and innovative focus on infertility research. Halotech’s SCD (Sperm Chromatin Dispersion) technique, developed and exclusively patented by Halotech, together with Halotech kits, will guarantee a better understanding of each patient, faster required treatment time, a better quality pregnancy, and a higher success rate. Kits available from Gytech include; Halosperm, Halosperm G2, dyn halosperm , halomax, oxisperm, and vitaltest.